It is going to be an unfortunately busy year for nonprofits such as Empowering & Strengthening Ohio’s People (ESOP). The NPQ Newswire profiled ESOP two years ago for having had extraordinary success in foreclosure prevention in otherwise foreclosure-ravaged neighborhoods in and around Cleveland, where the organization originally began as the East Side Organizing Project. 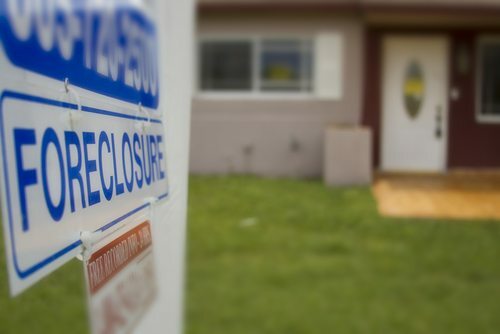 ESOP had better be prepared again, because the pace of bank foreclosures has escalated in 2012, making it likely that there will be more foreclosures this year than in 2010. ESOP Executive Director Mark Siefert told Reuters, “We are right back where we were two years ago. I would put money on 2012 being a bigger year for foreclosures than 2010.” He described last year’s sharp downturn in foreclosures as “an anomaly, and not in a good way,” as banks held back on foreclosures while they waited for the completion of a consent agreement with the federal government and state governments about their vulnerability due to robo-signing mortgage agreements. The solution, if there is one, has two elements. One is a strategy of principal reduction in renegotiating mortgages for homeowners who are carrying mortgages that are larger than the value of their homes, but the Federal Housing Finance Agency (FHFA) is standing fast against letting Fannie and Freddie, the two secondary market government-sponsored enterprises, reduce principal for underwater homeowners. The other is an economic recovery—jobs for homeowners so that they can make their mortgage payments. Jobs are going to be slow in coming, but the concept of principal reduction could be much quicker if the Obama administration puts some more effective pressure on FHFA director Edward DeMarco. As a result of the FHFA’s stance, the mortgage settlement negotiated by the feds is leaving lots of homeowners without help. The settlement encourages principal reductions for underwater homeowners whose mortgages are held by the “big five” (Bank of America, Citibank, Wells Fargo, J.P. Morgan Chase, and Ally Financial), but leaves out anyone whose mortgages are held elsewhere, particularly Fannie and Freddie, which hold half of the nation’s mortgages, and the Federal Housing Administration (FHA). Among the big banks, Bank of America says it will try to cut principal down so that mortgages are no more than 100 percent of the homes’ market value, while the other four are aiming to reach between 115 percent and 125 percent of home value. That would make approximately 1 million out of 11 million underwater homeowners eligible for help, though how effective it will be in fixing their situations remains in doubt. Besides all of the other mortgagors who will not be helped, the deal doesn’t help the 3.5 million Americans who have already lost their homes in the past four years.